Two OBceans are in the news over the last several days: David Klowden – who began a facebook opposing renaming the Coronado Bridge after Ronald Reagan, and George Murphy – who has been an activist in OB – on the OB Planning Board and as current Chair of the Friends of the Ocean Beach Library, as well as in the City-wide gay community. We celebrate them both here … take a look. George Murphy was born on Feb. 29, 1940 in Peru, Indiana. Raised on a farm, Murphy had a “traditional” family, although he recalls knowing at an early age that he was not cut out for Peru. He would go on to graduate from Ball State University in 1962, earning a teaching degree in Business. Upon graduation, he pursued his MS Degree from the University of Michigan in Guidance and Counseling, and it was during this time he felt comfortable coming out to his family and friends. “Moving to Detroit really let me open up,” Murphy recalled. “I was finally able to grasp [my sexual identity] and accept that it was not bad [to be gay]. Upon graduation in 1965, Murphy taught and counseled in public junior high and high schools, and was a counselor at the Wayne County Community College. “It was the 60’s, so I was active in school union activities, the civil rights efforts, and local community and church activities,” Murphy recalled. By 1971, Murphy had had enough of the snow and cold weather of the midwest, so he and his then-partner John Eberly moved to San Diego. Soon after moving to San Diego, the Grossmont College ROP program hired Murphy to set up and direct the Adult Career Guidance Center in downtown El Cajon. 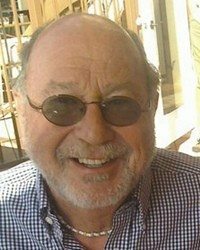 Then in 1978, he was hired as a founding member of Cuyamaca College, also in El Cajon, where he was a counselor and international student advisor/program coordinator until his retirement in 2002. Murphy did more than teach and help mold young minds though; for the last forty years, he also dedicated countless hours to help San Diego and the LGBT Community. You could say that Murphy jumped into his community work with both feet and in many ways was a part of shaping today’s San Diego LGBT community. An Ocean Beach advertising copywriter is actively opposing a bid to rename the San Diego-Coronado Bay Bridge after the late President Ronald Reagan. David Klowden, whose parents owned La Jolla’s well known Aesop’s Table restaurant until his father sold when his mother passed away, told City News Service his opposition is not with Reagan himself, but an aversion to renaming places with historical value. Vince Vasquez, a National University economist, began an effort a couple weeks ago to rename the bridge by gathering petition signatures that will be sent to state officials. His campaign is in conjunction with the 100th anniversary of the 40th president’s birth last Sunday. Klowden, who described himself as “moderately liberal,” said he is going to do just what Vasquez is doing, collecting as many petition signatures as possible and sending them in to the state at the same time to show there is not unanimous support for a name change. “I want to show there is bipartisan support from San Diegans and Coronadoans for keeping the name the San Diego-Coronado Bay Bridge,” Klowden said. Sorry, we don’t have a photo of Klowden. I wish we could settle once for all the “true” spelling of “OBcean.” Or is it “OBcian”? “Put the “B” in the Ocean… I like that!… I’ll abide. Hey George! Real good to see that you’re getting some much deserved recognition. Keep up the good work! Cheers! I heard a rumor from someone who listens to our disgraced former Mayor on the radio. I was appalled! I voted on the telephone line, but I wonder if that will be skewed. Can one vote more than once?